Suave's NEW Touchable Finish hairspray......it smells so good! There's nothing I hate more than the smell of the original hairsprays :( They stink so bad! If I've got to use it, I want it to smell good :) And it's also a great price. 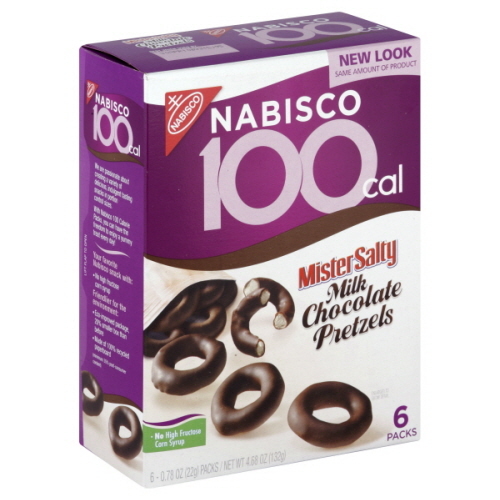 Nabisco's "Mister Salty" Milk Chocolate Pretzels! Only 100 calories!! I'm also loving Victoria's Secret, "Pink"
I had not tried it before, but when we were at Shaana's for a visit, she had some lotion on her vanity that I tried. It smells really good! I'll have to check for that hairspray in Canada. I'm with you on the smell of hairspray...yuck!